This summer I’ve found it more convenient to read eBooks for a variety of reasons, including convenience while I travel. I just finished reading a brand-new book From Marble to Flesh: The Biography of Michelangelo’s David by A. Victor Coonin. I really enjoyed reading this book; it is written in a very engaging and approachable way. 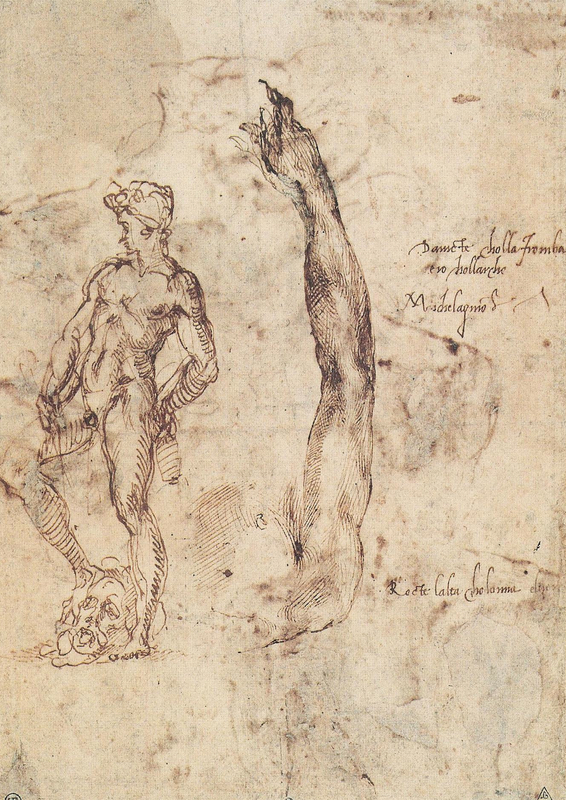 The book discusses the history of Michelangelo’s “David,” including the various locations where the sculpture either was intended to be placed or actually placed. 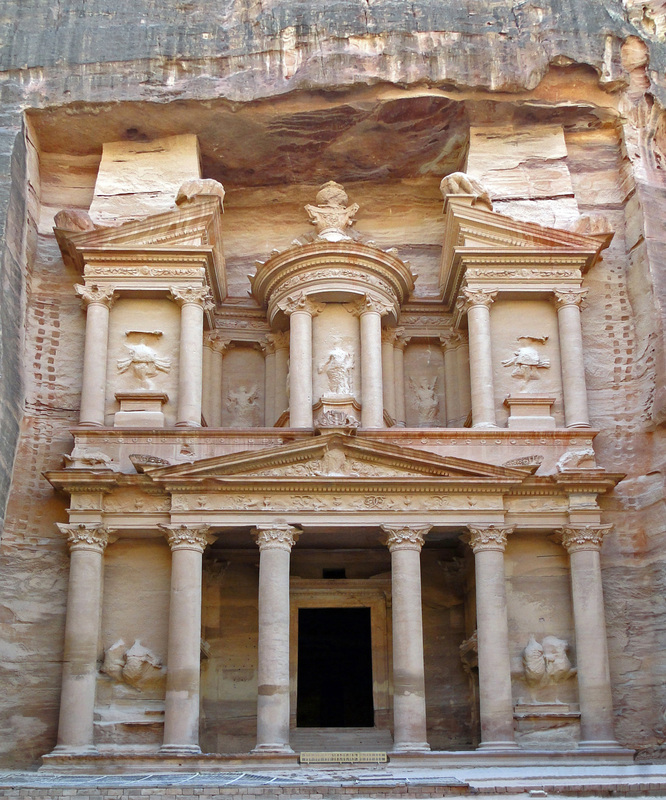 Additionally, the book discusses the famous sculpture’s impact on society and culture over the centuries. I especially liked the chapter which discussed the cultural impact which the David has had on artists, activist groups, and other types of people and communities. 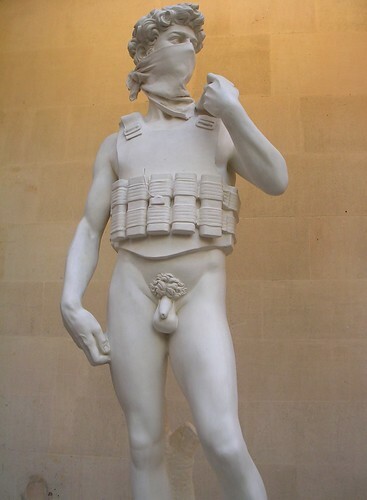 It was neat to read about ways in which the David has been recreated and also “cloned” in visual culture, including Banksy’s sculpture from the Banksy vs. the Bristol Museum exhibition in 2009. 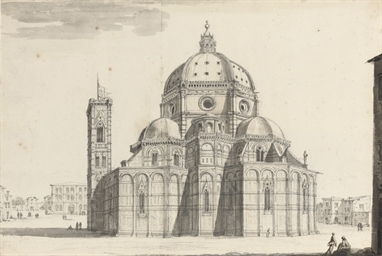 Four sculptures were created for the Florence Cathedral series of prophets before Michelangelo was born: Isaiah (1408) by Antonio and Nanni di Banco; David (1408-09) by Donatello; the gigantic multi-media sculpture Joshua (c. 1410) by Donatello; and a gigantic statue by Antonio di Duccio which probably depicted the prophet Daniel (1464-65). Donatello’s David sculpture may be lost, but some scholars think that it might be Donatello’s David in the Bargello Museum or perhaps another bearded prophet in the Museo dell’Opera del Duomo collection.2 We We know Isaiah was placed a cathedral spur, but when Donatello’s David was completed, Isaiah was taken down and neither sculpture remained on the exterior. It could be that the life-size sculptures were too small to be seen when placed up high. In addition to the famous marble sculpture, Michelangelo also created a bronze David, but this sculpture was composed a bit differently. Although this sculpture no longer exists, we can get a semblance of Michelangelo’s working process for the sculpture from a study drawing. 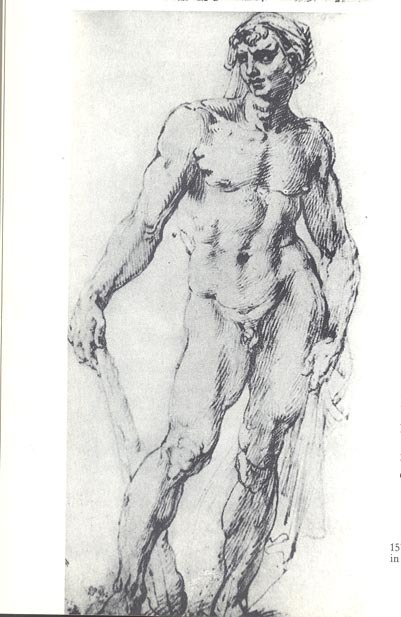 We also know more about the final appearance from a drawing of the sculpture by Rubens. My only main critique of this book is in the small size and low quality of the resolution for several of the images, which I realize may be an inevitable result of reading an eBook instead of a printed publication. Sometimes it was difficult to see what Coonin was trying to point out in the images because of their small size, and enlarging the images on my iPad made the pictures look very grainy and pixelated. But I did like that there were a lot of images and that they were in color. I assume (and would hope) that the images are more clear in the printed version of the text. Overall, however, I highly recommend this book. From Marble to Flesh can appeal to all kinds of people, not just art historians. Coonin writes in an easy-to-read manner, but also takes time to define any art history term that is necessary for the reader to understand. I’m excited about all of the things that I learned in this book, and I think anyone interested in Renaissance art or cultural studies will be excited about this book, too. Thank you to Alexandra Korey and The Florentine Press for providing a review copy of this book. 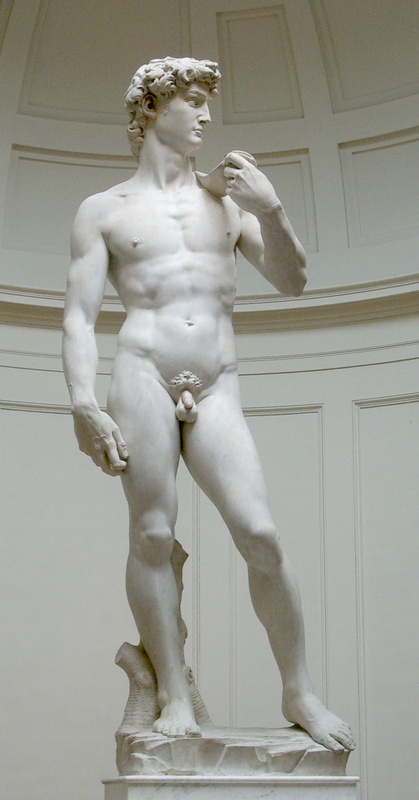 1 A. Victor Coonin, From Marble to Flesh: The Biography of Michelangelo’s David (Florence: Florentine Press, 2014), 26, ePub for iBooks (vertical orientation). 6 Heinrich Wölfflin, The Art of the Italian Renaissance: A Handbook for Students and Travelers (New York and London: 1903), 54-56. Statue of the Emperor Octavian Augustus as Jupiter, 1st quarter of the first century CE. Height 185 cm. State Hermitage Museum. Image via thisisbossi on Flickr (used via Creative Commons License; no changes made). In addition to style, I have learned that context is very important in determining whether a statue is supposed to receive cult. 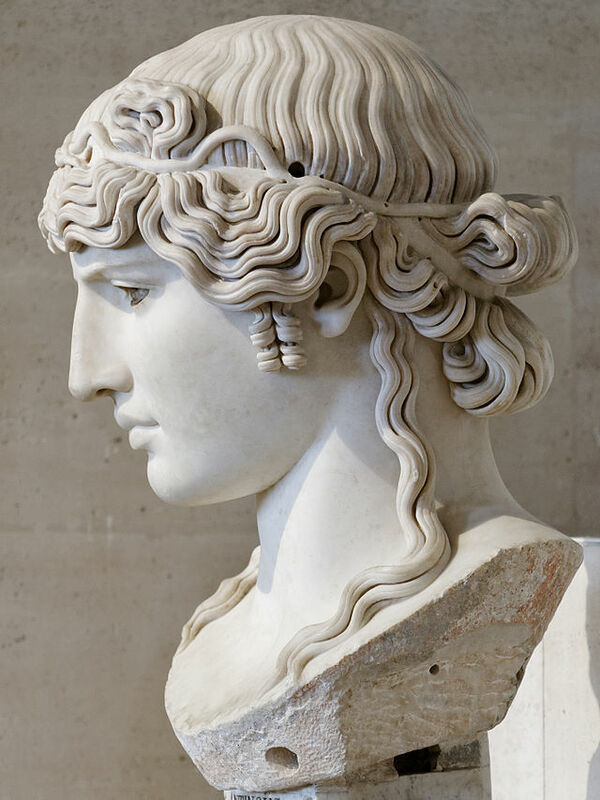 In addition to cult statues, honorific (but non-idol) statues called andriantes (or sometimes andrias) by ancient writers could be placed in temples as well.4 As a result, it seems like one must rely heavily on ancient writings descriptions in order to determine the cult nature of an object. 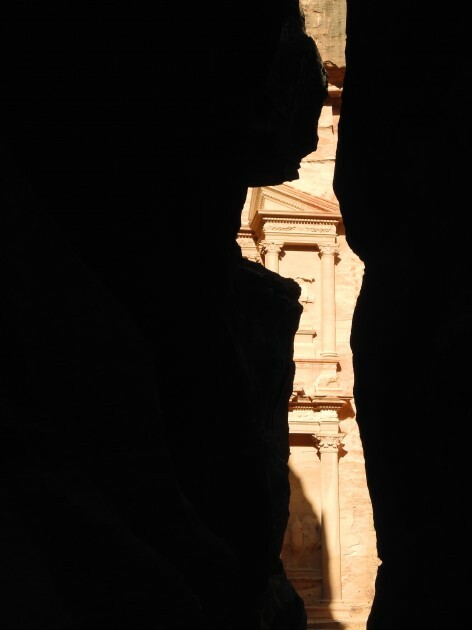 The physical placement of such objects (within the cella) could also help indicate a cult function. olossal Statue Head of Domition (or Titus), 1st century CE. Archaeological Museum of Ephesus (Selçuk). 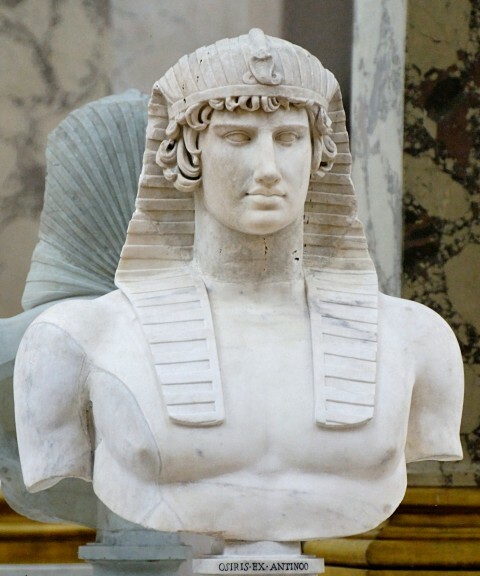 Do you have a favorite cult statue of an emperor? 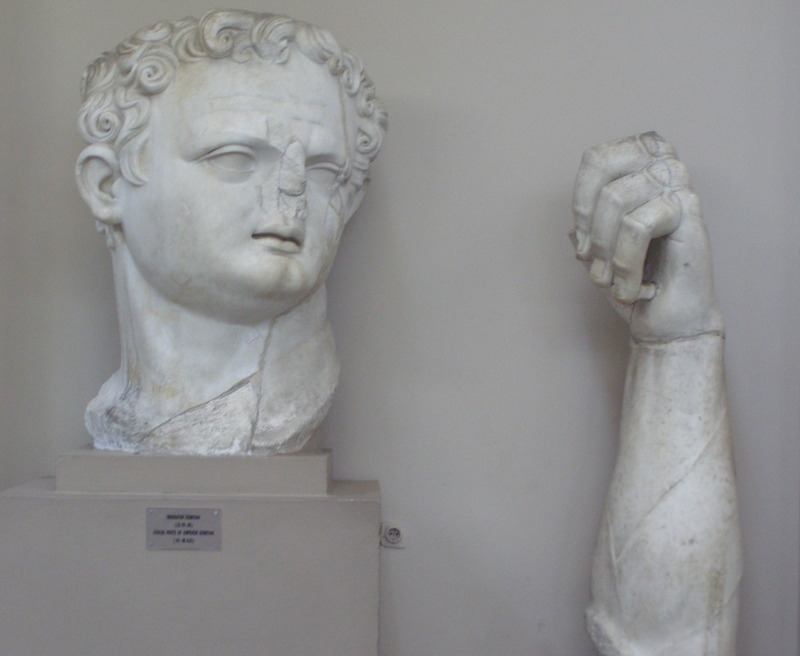 What else do you know about the way that Roman emperors were represented in cult statues? 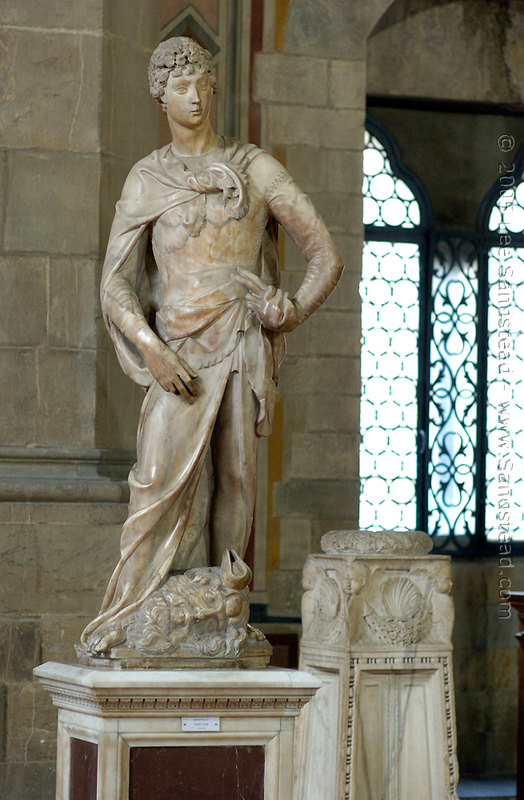 Do you know anything else about the placement and function of such statues? 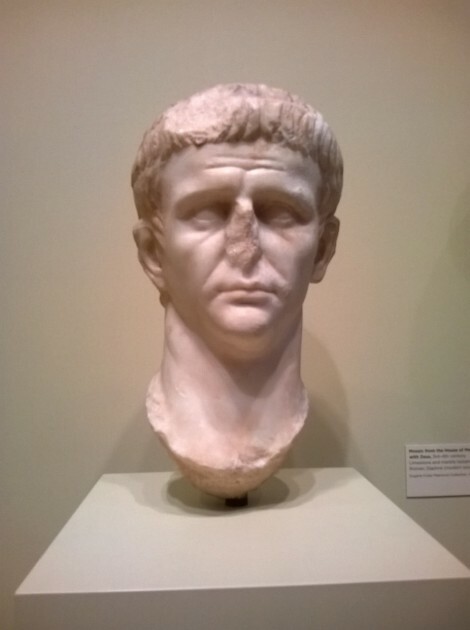 1 Museum label for “Posthumous Portrait Head of the Emperor Claudius,” Seattle, WA, Seattle Art Museum. August 9, 2014. 2 Museum label for “Emperor Cults and Temples at Ephesus” Ephesus Archaeological Museum, Ephesus, Turkey. June 2012. 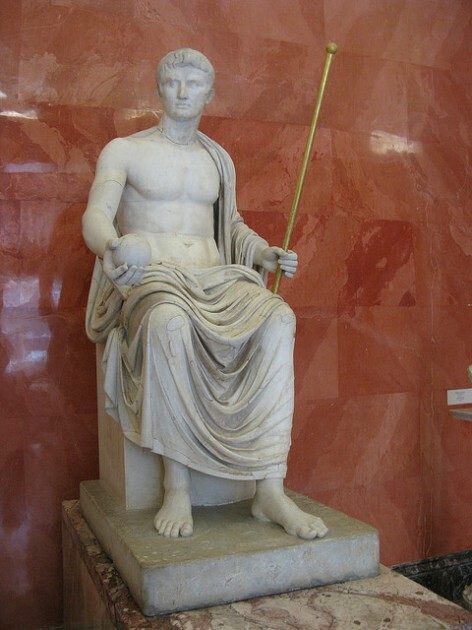 4 Duncan Fishwick, “The Statue of Julius Caesar in the Pantheon,” in Latomus T. 51, Fasc. 2 (AVRIL-JUIN 1992): 332.